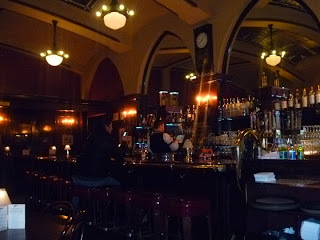 Considered Portland's oldest restaurant and saloon, Hubert's dates its birth to 1879 when it started as the Bureau Saloon in a location at SW 1st and Morrison. 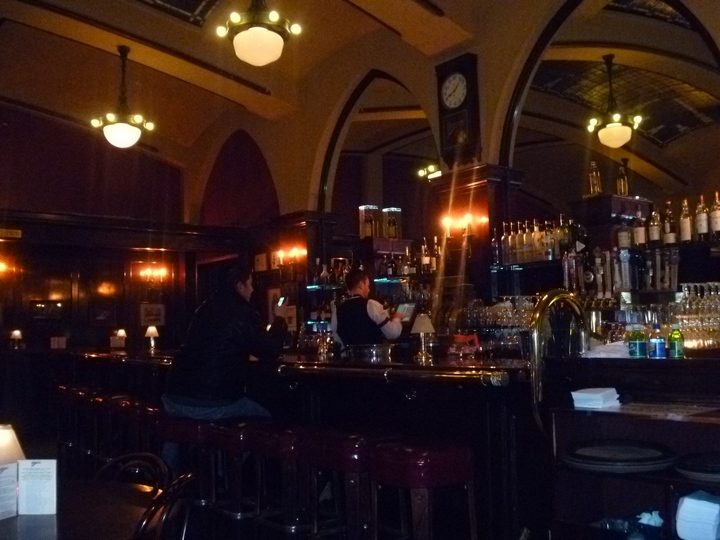 Frank Huber was hired there as a bartender in 1884, and became the owner by 1888. The business changed its name to Huber's and moved to moved to 281 SW Washington in 1895, then moved to its current location in 1911. In addition to the beautiful interior in the Oregon Pioneer Building (nee Builder's Exchange Building), Huber's is known for its turkey dinners and Spanish Coffees.